So when something like Little Big Planet comes along, a game where you essentially make your own games, we can't help but bite into the hype. Little Big Planet was released back in 2008, and it more than fulfilled its promise of making game-creating fun. A dedicated community of gamers on the PS3, who shared their own game creations over the game's online network, came into being. 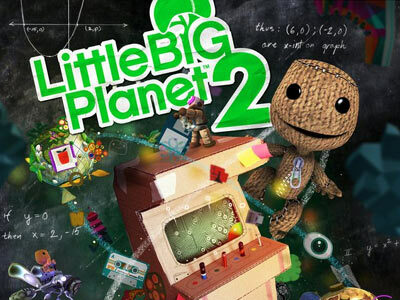 Now we have on our hands its sequel, Little Big Planet 2. It builds upon its predecessors' solid foundations to produce an even more streamlined and more enjoyable sequel for all of us, frustrated game developers. Fun in LBP 2 can be had in three ways: first, you can play through the campaign mode. Second, you can play through levels created by other players, or as we were hooting about above, you can, third, create your own levels. Your in game avatar: sackboy, the game's mascot who you can personalize with various costumes, and accessories, so you know, he won't look too much like a cute, evil voodoo doll. The game's campaign mode tasks you with the mission to vanquish Negativitron from sucking up all the worlds (think Galactus, only less threatening-looking). Not the most original plot to say the least, but it hardly matters since this mode's real goal is to acquaint you with the feel of the game, and the kinds of worlds and levels you may be able to build on your own, and showcase the game's much improved visuals. Any serious gamer has had dreams of creating their own games and that becomes a reality with this. Okay, so the first LBP, game did just that; the sequel takes it a notch higher. If, in the first game, you got to design stage layouts, create booby traps and give birth to nefarious enemoies, in LBP 2, you also do all those things plus the ability to create different control schemes. This leads to more complex game mechanics. With the ability to program deeper mechanics, it's now possible to fashion your creations into, among others, RPGs, fighting games, and more challenging platforming adventure levels. LBP 2's creation toolset is seriously deep, and while it may take a really dedicated player to get the most out of it, it's indeed very rewarding. All it takes, as they say, is a little imagination. And what if you're not this "really dedicated player" we're talking about? Well you don't have to, if you don't want to, because these "really dedicated players" exist, and sometimes, they'll just blow your mind away with their creations. With LBP 2's much improved navigation system and interface, it's now easier to find the better levels, so you won't have to sift through all the bad ones. At this point, since the game is still new, there aren't that many levels yet, but once the community really takes off, we're sure it's going to be awesome. Little Big Planet 2 is published by Sony Computer Entertainment America and is developed by Media Molecule.